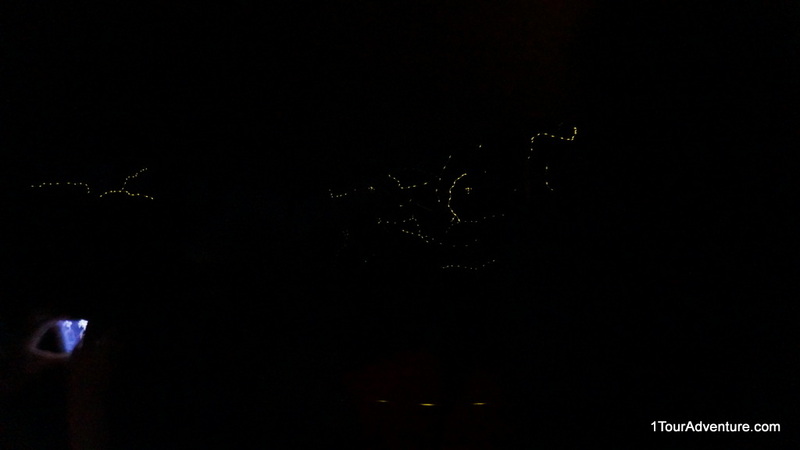 I recalled, it must have being some 22 years ever since I last encountered fireflies. When I was very young, my family followed my dad, who had to relocate to a bigger city due to his career requirement. Ever since staying in big cities, I have never encountered fireflies and that was until yesterday, I had an opportunity to join Kawa Kawa River Cruise. It was experience of my life time. If you have no idea of what fireflies are, they are a kind of harmless insect belonging to beetle species that emit blinking light in their abdomen. They can be found only in temperate and tropical rain forest. To witness this, one has to travel further away from bustling cities and people, to their unpolluted and undisturbed habitat. And that’s what we did. 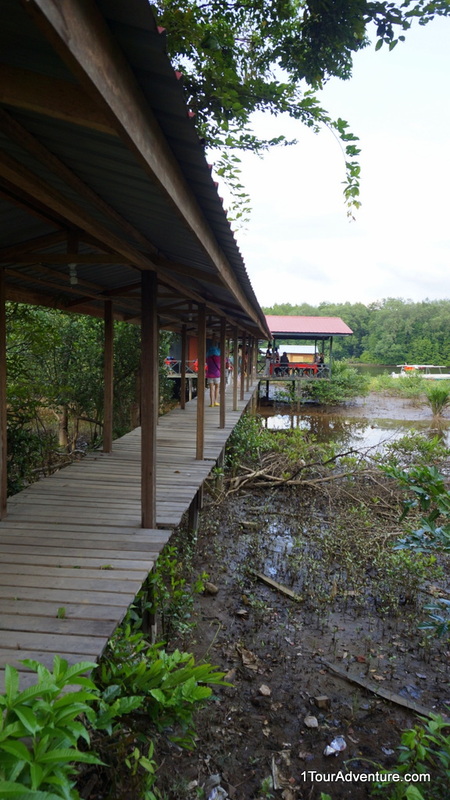 We began our journey around 2.30 in the afternoon, heading towards our destination near Kota Belud, which was about 1.5 hours of driving from the city of Kota Kinabalu. 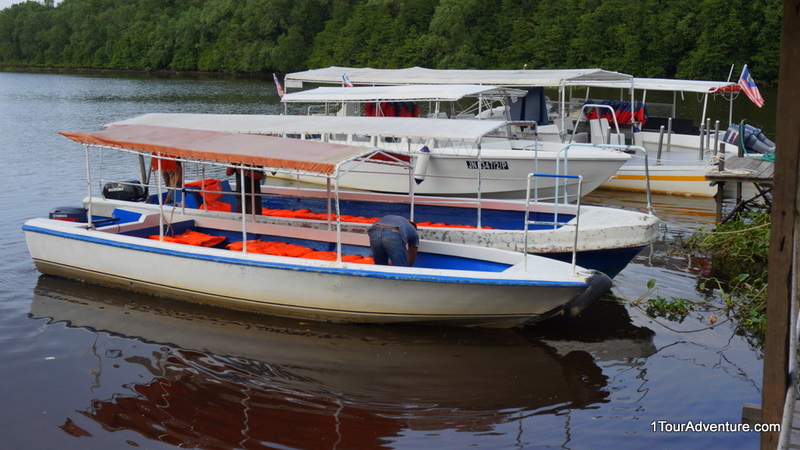 Once arrived at around 4 in the afternoon, we had some light refreshments before boarding our speed boat to begin our river cruise along the Kawa Kawa river. Walking towards the jetty to catch our speed boat. 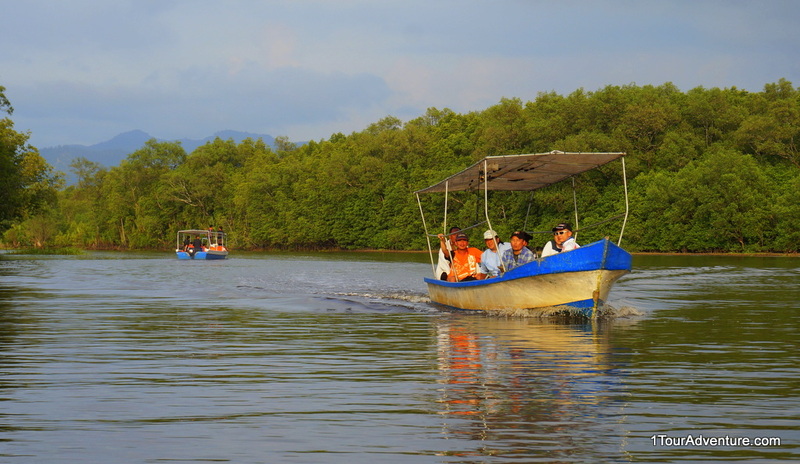 Kawa Kawa river is surrounded by mostly untouched mangrove forest. 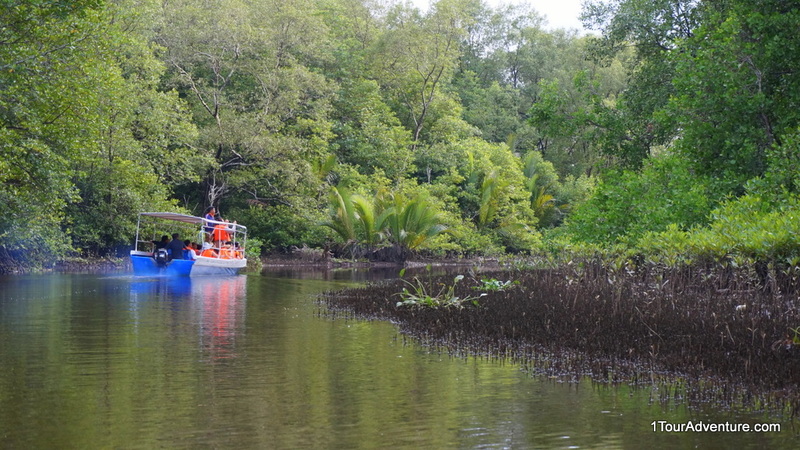 Our boat ride was smooth and comfortable as the boat was navigated at very slow speed in order not to scare away wildlife by the sound of our boat engine. 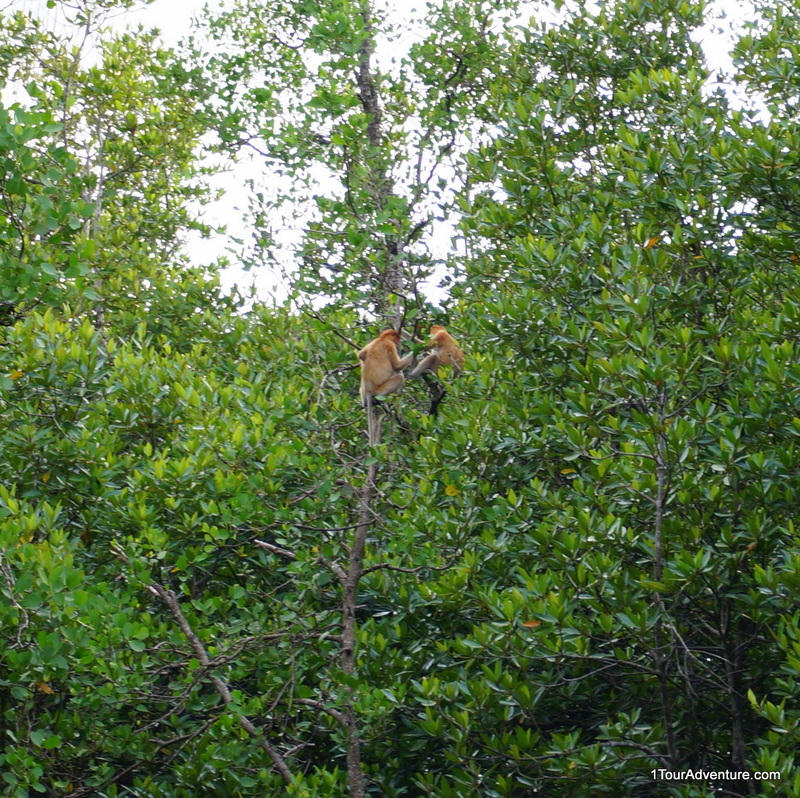 Not long after our ride, we already had the opportunity to witness Proboscis Monkeys leaping from one tree to another, searching for young leafs and fruits for their food. 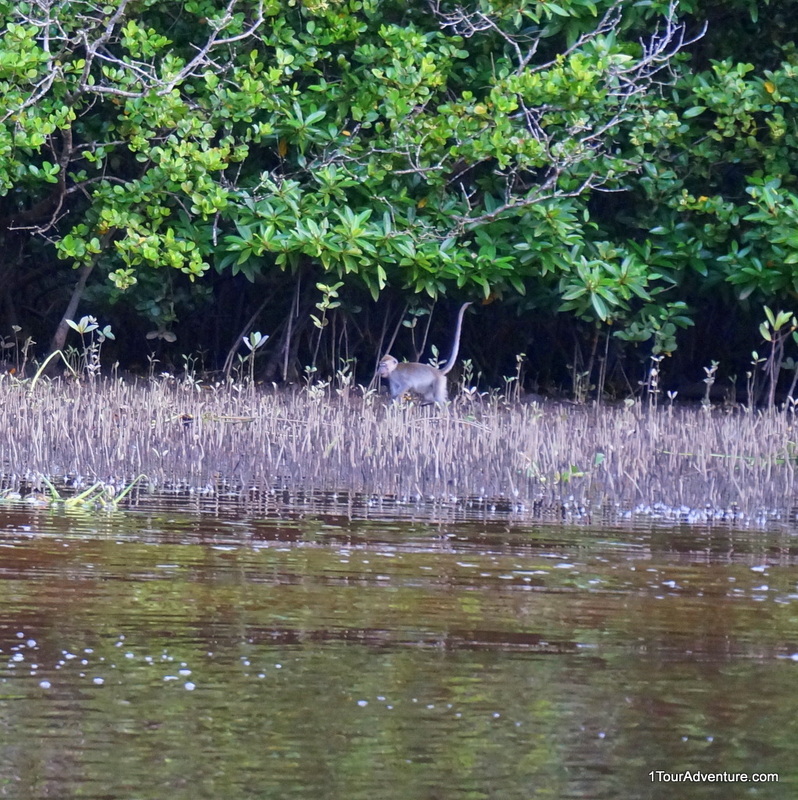 We also managed to witness baby Macaques playing around along the Kawa Kawa riverbank as well as witnessing Egret flying in large group over our speed boat. 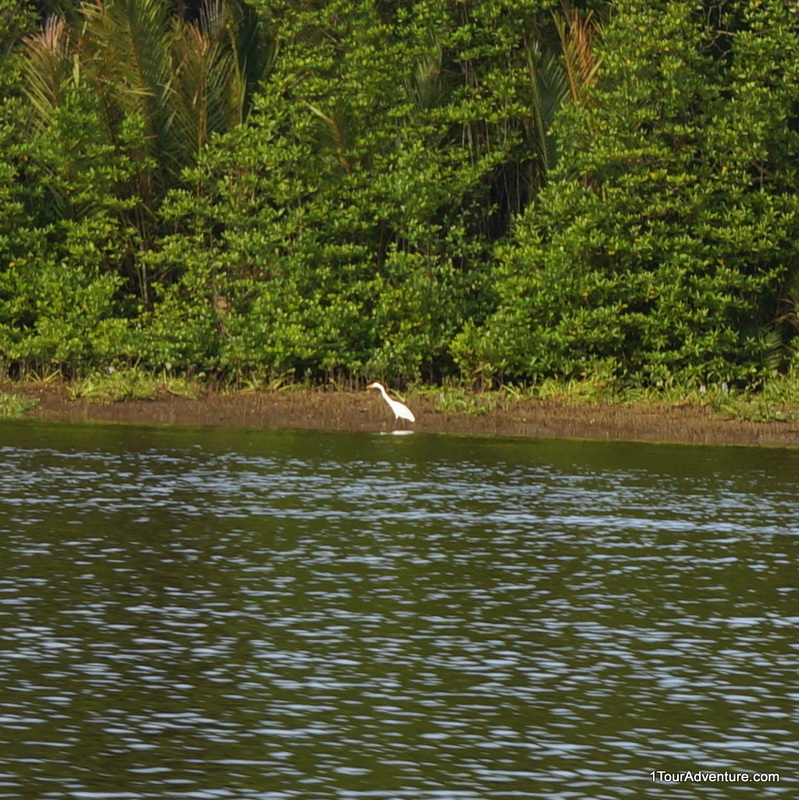 An Egret looking for its meal. 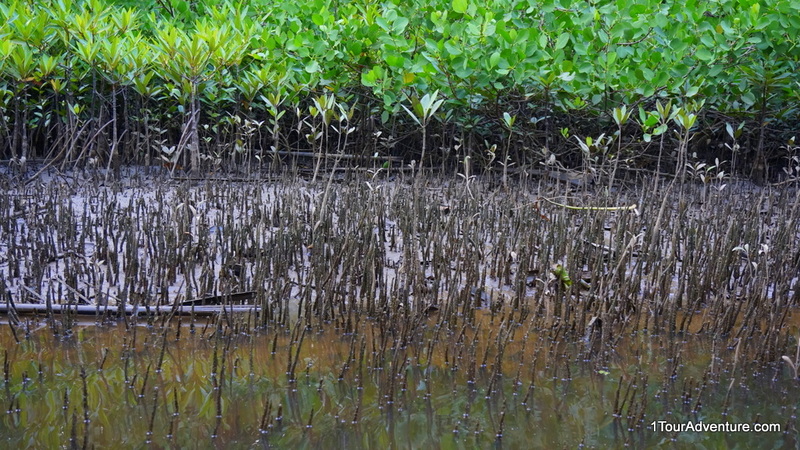 A Macaques playing at the riverbank. 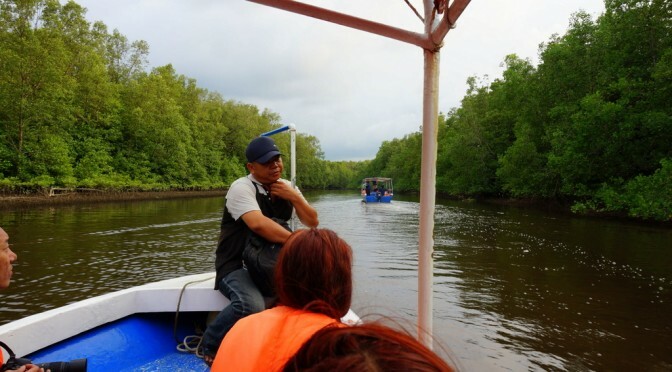 Cruising, searching for wildlife in action. 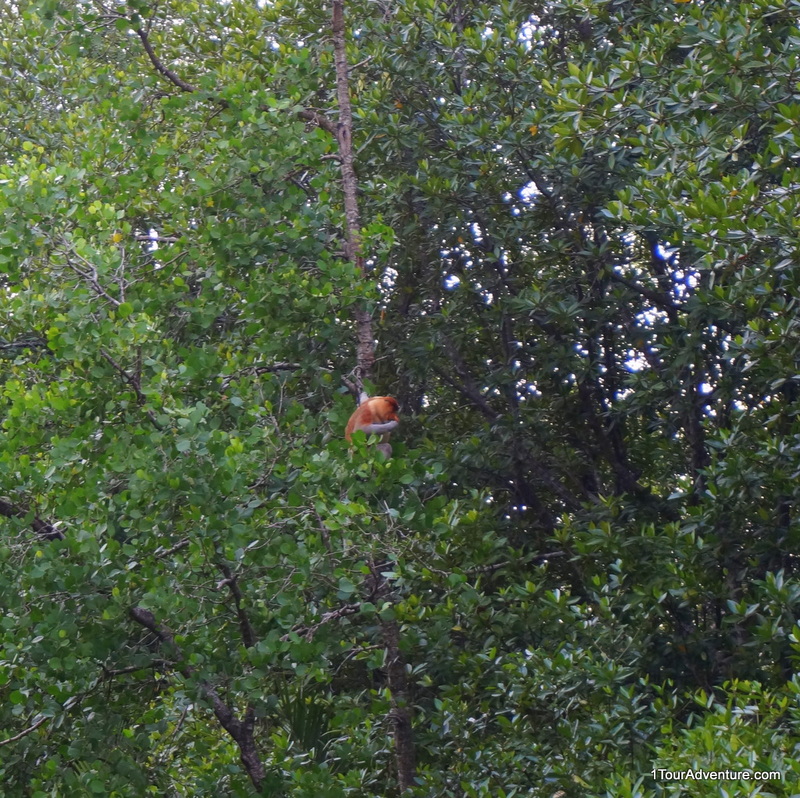 Sighted an alpha male Proboscis Monkey. 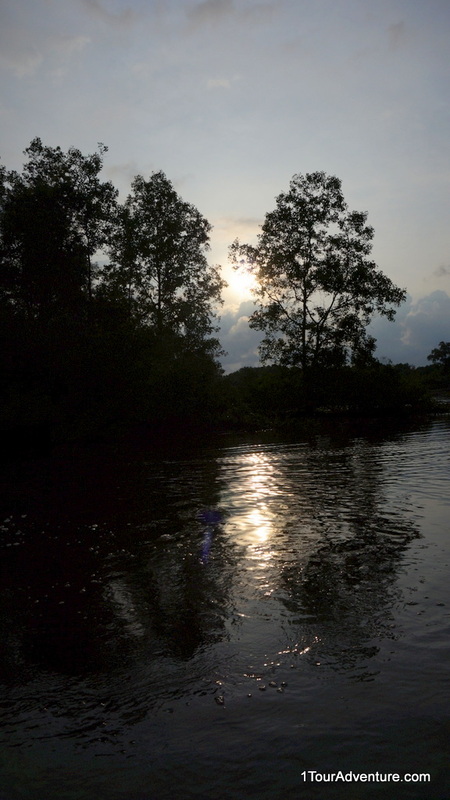 After done our river cruise, it was about 5.30 in the afternoon and we were kind of disappointed initially because dark clouds were already starting to form over our sky, which meant only one bad thing, that we might not be able to witness fireflies later that day. 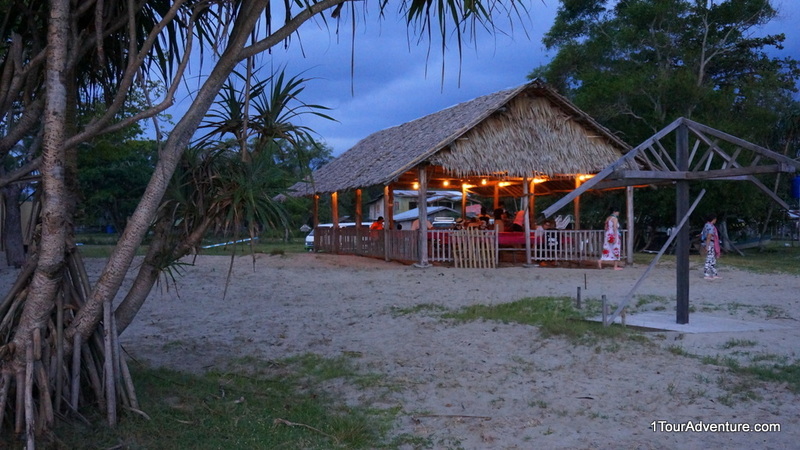 There were not much we could do but proceed to our next activity, to take our dinner and enjoying beautiful sunset at a beach nearby. 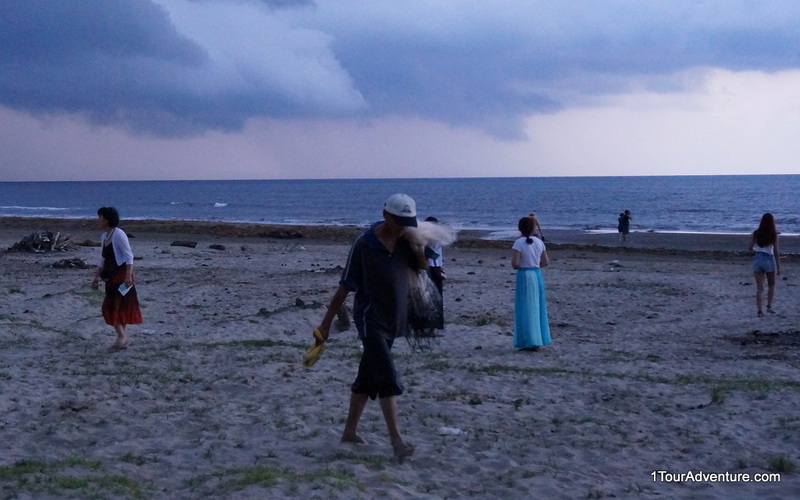 It took about 5 minutes to reach our canteen, which was located just besides the beach, facing the calm South China Sea. Our dinner was local delights, which comprised of home cooked vegetables, chicken and beef, in buffet style. We were supposed to be able to enjoy the beautiful sunset while having our dinner but because of the deteriorating weather, not much could we experience. 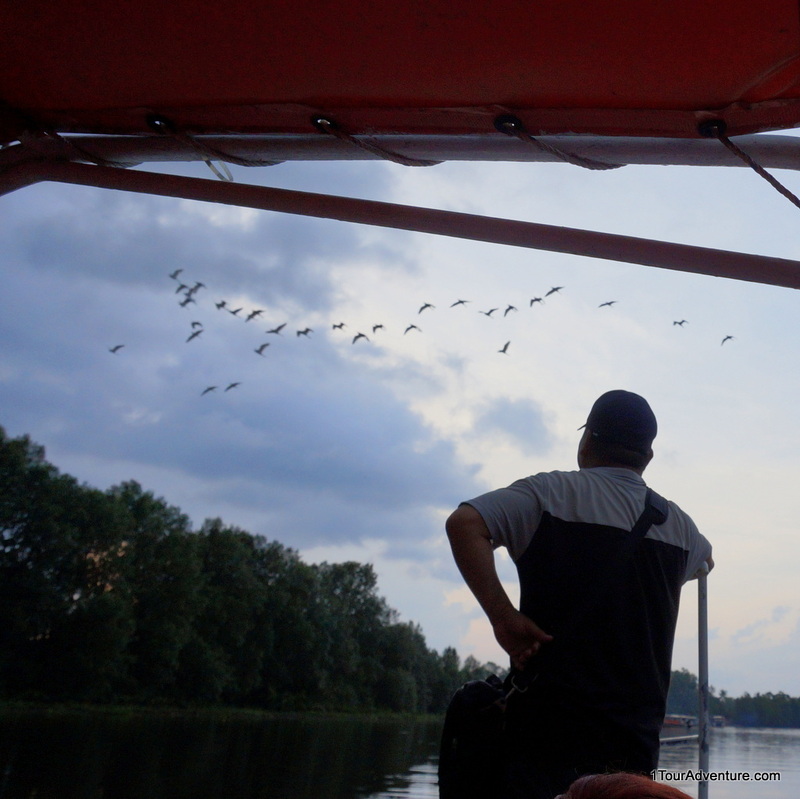 Right after finishing our dinner, we decided to rush back to the jetty to begin our second river cruise to witness the fireflies before it rains. A disappointed fisherman returning from sea, possibly due to bad weather. And rain it did, eventually. Fortunately, it was not heavy and we still managed to proceed to head out again into Kawa Kawa river to witness the fireflies. This time round, our river cruise was covered in total darkness, only a little moonlight because it was still covered with clouds. This was blessing in disguise as darkness was needed in order to witness the fireflies in action. 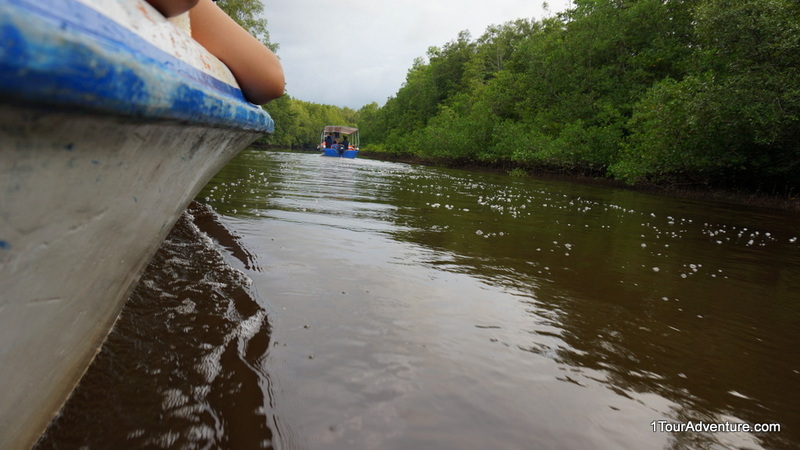 Initially there was nothing, only pure darkness and the roaring of our speed boat engine but after 5 minutes into our journey, we started to see blinking lights among the dark mangrove trees and the more we travel further down the river, the more of these we witness. Eventually we stopped at a location where there was the most fireflies gathering at one place. It was a fascinating sight, similar to watching shining stars in the sky except that these were so near to us. And then, the local who was joining us used his flashlight in a special way to attract these fireflies flying toward our boat in swarm from the trees. We were overwhelmed with the sight of fireflies surrounding our boat, as if the spirit of Kawa Kawa river was welcoming us. Some of these fireflies even landed on us and we managed to gently touch them too. It was truly a once in a lifetime experience to us. There’s no word we can describe the above. You will just have to come and experience it yourself. Unfortunately, this is the best my camera could capture. 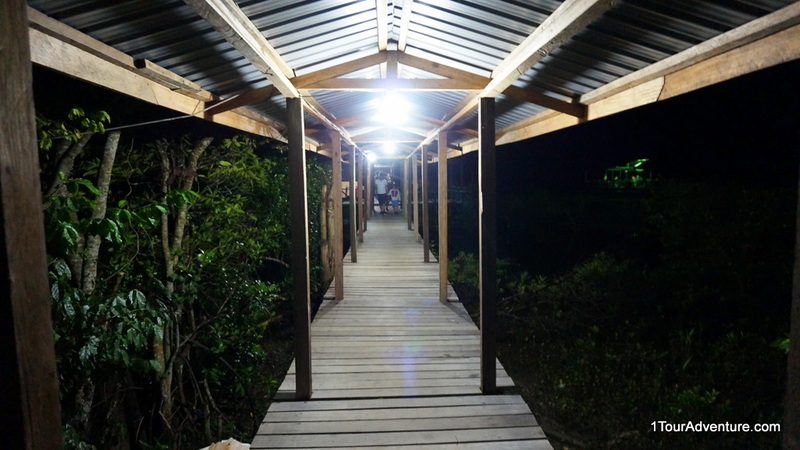 After about 30 minutes of fireflies sighting, we decided to head back to the jetty and proceed back to the bustling city of Kota Kinabalu. It felt just like waking up from a magical dreamland but hopefully in the near future, we get to visit this wonderful place again. 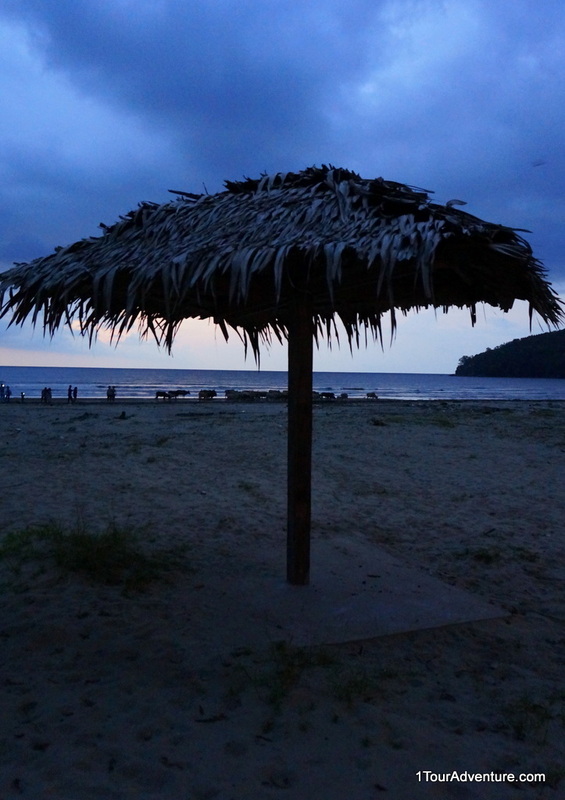 Bye bye Kawa Kawa, hope to return again one day to meet the lovely fireflies! If you would like to experience the same, do drop us a message. If you like this page, please say thanks by sharing this page! Hi ziqi.lau, kindly drop us your enquiry at victor@borneoescapade.com. Thanks!